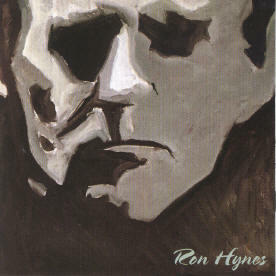 Ron Hynes, singer/songwriter, 5 time ECMA Award Winner, Genie Award Winner, 5 time Peoples Choice Winner, a Juno and CCMA nominee, has just released his new Self-titled CD. He officially released it at ECMA '06 in Charlottetown in February. This highly acclaimed CD, is considered by many, as the best work by Ron in years. The CD was produced and arranged by Paul Mills and was recorded and mixed by Paul Mills at The Milstream in Toronto and is on The Borealis Records Label. The CD contains 14 songs all written or co-written by Ron. Here are the song titles: My Name is Nobody-Where Does Love Go Wrong-Sorry Lori-Movie Scene-Treasure-Carry The Cross-Tiger Lily-Piccadilly Sand Farewell-The Mother Who Bore You In Pain-Three Cheers for The Buchaneers-Boy From Old Perlican-Dirt Poor-Dry and Here Lies Lenora Jennings. Most of the songs were written, as Ron reflected over the past 3 years while he was out of the spotlight dealing with his personal problems. Once in awhile an album comes along that stands out above all the rest, and this album, is at the top and is a sure Award winner in every respect. All the musicians are Canada's finest, performing on the CD who are: Dennis Pendrith-Curly Boy Stubbs-Keith Glass-Burke Carroll-Al Cross-Don Reed-Anne Lindsay-Wendy Solomon-Tom Leighton with harmony vocals by:Cindy Church-Neil Donell-Emile Barlow and Rique Franks. Atlantic Seabreeze gives this album top ratings on its rating list. To purchase this fine CD, check the above website, address posted above, or contact your local music store.